I would like to sincerely thank everyone who took time to come out and vote on the 2019-2024 Capital Improvement Project. Approving this project enables the Auburn School District to move forward with important safety and security improvements, as well as essential health and safety improvements in and around our school buildings. Thank you for looking out for the best interest of our district's students and staff. Why did the Auburn Enlarged City School District Board of Education consider this capital project? The Board of Education continuously looks for ways to maintain and protect district assets, which include buildings and facilities. This proposed $43.7 million capital project derived from the Building Condition Survey (BCS) completed in the 2015-16 school year. New York State Education Law mandates school districts to perform Building Condition Surveys every five years. The 2015-16 BCS survey indicated that the district needs around $65 million worth of improvements just to keep its buildings up to par. From there, the district’s facilities director met with each of the building principals and maintenance staff to create a list of items that need to be fixed, improved, or added in each building, while some of the district assistant superintendents met with staff to produce a list of items they feel are needed as well. Some of these items overlapped with the items on the BCS, but some are additional. The final checklist of items on all of these lists added up to over $100 million in capital improvements. Unfortunately, not everything on these checklists fall within the district’s allotted budget, even with building aid reimbursement from the state, and therefore, the district is forced to prioritize items. What items are expected to be completed in this capital project? This project, if approved by voters, will greatly enhance the safety and security in all of the school buildings, improve the health and safety of the air flow systems in the junior high and all of the elementary schools, and afford many essential site improvements at each of the schools. A major portion of this capital project includes the redesign of the front entrances in all but two of the school buildings that already have securely designed front entrances. The redesign will create vestibules that will force the flow of visitors in the buildings directly to the main offices, preventing them access to walk freely in any area where they could have access to students. Nothing is more important than the health, safety, and security of our students. Nothing. Every student deserves to be in a school environment where they feel safe and comfortable. In light of many devastating events that have taken place throughout our country in recent years, upgrading security in our buildings and putting more effective measures in place is essential to creating a safer environment for our students. Due to the aforementioned safety and security concerns schools are facing, all of the windows and doors in schools buildings must remain closed and locked at all times. Years ago, when the district’s buildings were constructed, they were not built with any sort of relief air systems because windows and doors were able to be left wide open to encourage air flow. Now that everything must be closed and locked, it is impossible to properly heat or cool a building without a relief air system. There are areas of district buildings that have reached 100 degrees, and some students and staff members have suffered from heat exhaustion, making this issue a health and safety concern that needs to be addressed immediately. Because of this, the project includes making necessary air quality updates including adding relief air systems, as well as installing air conditioning in the hottest areas, in the junior high and all of the elementary buildings. Additional items outlined in the project include full playground replacements at Herman, Owasco, and Seward elementary schools, as well as improvements to the Genesee Elementary playground, as all of these playgrounds are at the end of or have surpassed their useful lives. 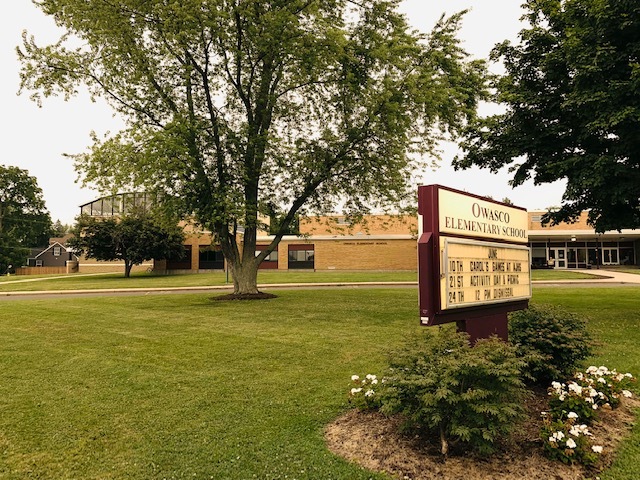 Roof improvements at Casey Park, Genesee, Herman, and Owasco elementary schools are also outlined in the project because the roof warranties have expired. Window replacements at the junior high and Herman Elementary are included in the project, and concrete and pavement work at all of the school buildings is another priority defined in the project. All of these priorities have to do with health, safety, and security in district buildings, which is, and will continue to be, a top priority in this district. Why do school district's propose capital projects to complete necessary work instead of just including in the annual school budget? A capital project is funded predominantly by state building aid in order to enable school district's to invest in their facilities by making repairs, renovations, and updates necessary to ensure secure, healthy, and safe learning and working environments for students and staff with much less of a financial burden on local taxpayers and school budgets. The items included in capital projects represent one-time expenditures that would be next to impossible to pay for out of the district’s annual operating budget, on which residents vote each May, so the state offers financial incentives in the form of state building aid for school districts to utlize. State building aid is only available on work completed as part of a capital project. 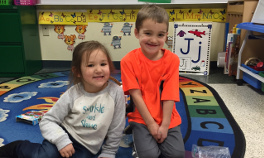 The Auburn Enlarged City School District receives approximately 85% of capital project costs in state building aid, which is a significant amount of money for the district and local taxpayers. Without a capital project, school districts would have to find ways to fund this work through annual operating budgets with no state building aid incentive, which would make the project cost prohibitive. A capital project is the most effective way to complete work of this scope. Why is the district pursuing this capital project now and holding a special vote in January? • The district receives approximately 85% in building aid, which means that for every eligible dollar spent on a capital project, the district will receive 85 cents from New York State in the form of building aid. • This project will allow for some much needed work to be done while keeping the tax levy increase below 2%. • It will take the engineers and architects a few months to prepare and submit complete construction plans and specifications to the State Education Department (SED) for approval, and currently, the state has a 40-week backlog for approving capital projects after voter approval. Holding a vote in January will hopefully allow the district to send out a request for bids by December 2019. • Delaying the work proposed in the capital project would end up costing the district and taxpayers more over the long run, as such the timing of this project and its vote presents considerable economic benefits. • The items that have been identified as needing repair would continue to deteriorate, and renovations and repairs will end up costing more in the future. • Without this project, the district may be obligated to use annual operating costs in order to maintain the facilities, making short-term repairs that are not cost-effective. How can a $43.7 million project result in just a 1.98% increase on the tax levy? The district does everything in its power to keep the tax levy increase as low as possible for community members. In this case, the district was able to determine that the total cost of capital improvements able to be completed while also keeping the tax levy increase under 2 percent is $28 million. That amount will allow for the highest priority items pertaining to the health, safety, and security of students and staff to be completed. Furthermore, the district worked with local professionals to determine that it could incorporate additional prioritized work into the project over a longer period of time and still keep the tax levy under 2 percent, which is why this project is divided into two phases. The first phase contains approximately $28 million in capital improvements, and the second phase contains approximately $15 million, totaling approximately $43.7 million with a tax levy increase of only 1.98 percent. What happens if bids for this work end up being more than $43.7 million? The district can only spend up to the specific amount distict voters approve. If bids end up being higher than originally anticipated, the district would need to scale back the extent of work in the capital project to stay within the authorized amount approved by voters. When will this capital project be completed? If the project is approved by voters, work is anticipated to begin as early as the spring of 2020 and carry through until approximately 2024. Why does a capital project process take so long? Once voters approve a capital project, engineers and architects must prepare and submit complete construction plans and specifications to the State Education Department (SED) for approval. Currently, the state has a 40-week backlog for approving capital projects after voter approval. Questions about the capital project? If you have any questions or concerns about this capital project, please contact the district office at (315) 255-8822.